Jonathan Mann, a Berkeley, California-based musician and app developer who writes and records a new song every day, has already attracted a personal record number of YouTube followers in part on the strength of his 1019th effort: a cute-but-not-too-cutesy duet with Siri, the virtual assistant Apple put on the iPhone 4S. Mann, who is also the developer behind an iPhone app called Songatron – “a robot which creates songs” based on a single word – posted the song as a download in case you don’t want to convert the YouTube version into an MP3. 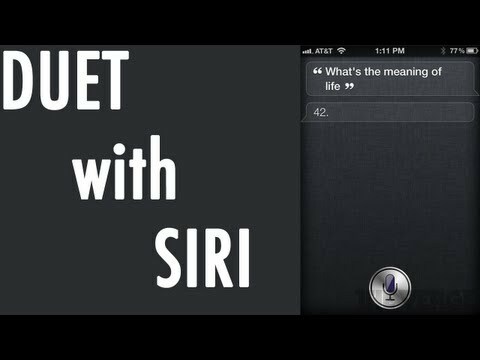 If you know of an earlier recorded duet with Siri (or know of any other music apps we should check out), please let us know.